Kami-sama, if I said I love Irie-kun even more… would you be mad? At a high school entrance ceremony, high school student Kotoko Aihara (Honoka Miki), who isn’t that smart, notices pretty boy Naoki Irie (Yuki Furukawa). She falls in love with him immediately. Kotoko initially doesn’t express her feelings to him, but finally has a chance to tell him how she feels. Unfortunately, Naoki turns Kotoko down, saying “I don’t like dumb women.”One day, Kotoko Aihara’s house is severely damaged by an earthquake. Until the house is rebuilt, Kotoko Aihara and her father decide to live with her father’s friend. When Kotoko Aihara moves to her new temporary house, she is surprised to learn that Naoki Irie lives there as well (plot and photo source: Asian Wiki). It is quite ironic that my last review post (eight months ago) and my latest post are all about the same drama. I don’t know if I were being prophetic in my post last January but I got the surprise of my life upon learning of the remake last June. I was able to watch the first eight episodes last July (I think) and it was only last week that I was able to finish the remaining episodes. Hunger is the world’s best seasoning, y’know. 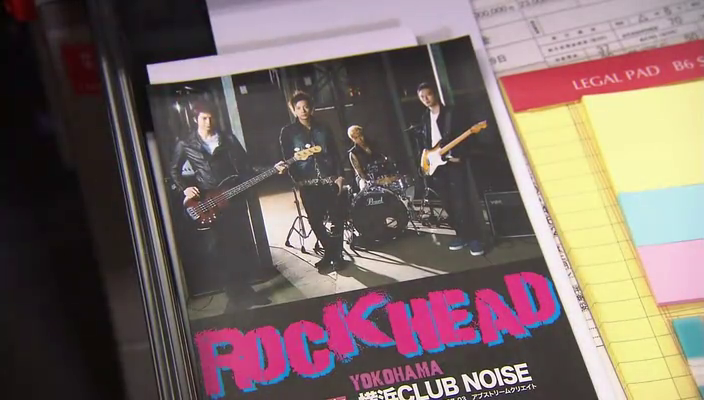 Eisuke’s friends, who were part of his band ROCKHEAD, are being played by Tsukamoto as Kento (guitarist), Kawabata as Tsuyoshi (drummer) and Miura as Taku (vocalist). 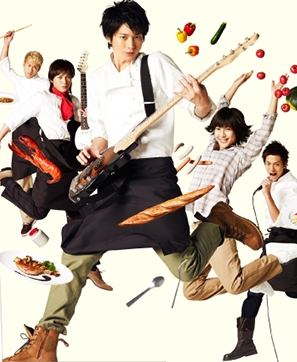 The three of them will help Eisuke with his restaurant (source: DramaWiki.com). Makino, do you honestly think that falling in love with someone as almighty as Domyouji will be that easy? I know your love has been fraught with suffering and pain but you should never doubt Domyouji’s capacity to love you and protect you (this comment came about because of the movie, the part where in they were in the island). 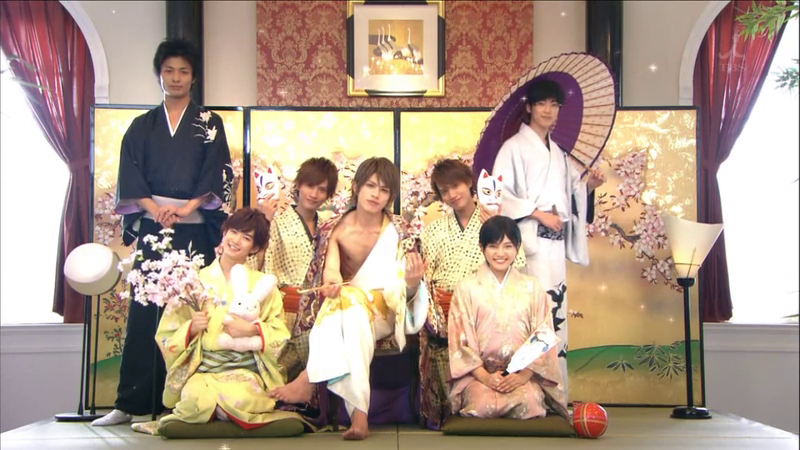 I had this sudden urge a few days back to re-watch Hana Yori Dango (HYD), and yesterday, I was able to finish season I, II and the movie. If ever you are wondering, Hana Yori Dango is my favorite japanese drama ever and out of all the HYD franchises (japan, korea, taiwan, mainland china, anime, name it and I watched them), I’ll have to say that Hana Yori Dango tops them all. C’mon, c’mon, c’mon EVERYBODY GO! 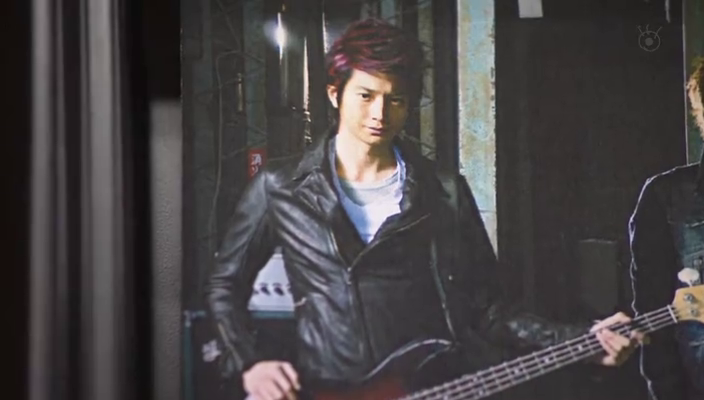 Anyone familiar over You’re Beautiful (Korean drama) will realize that Ikemen Desu Ne’s the Japanese counterpart. Though technically following the same plot, each has their differences (will not elaborate more). For the sake of those who are unfamiliar with the story, it revolves around a fictional boy band named A.N.JELL. Miko (Takimoto Miori) is a nun-in-training who has to pose as her twin brother and take his place in the group, leading to a complicated relationship between the group’s members (source: dramawiki + a little tweaking from yours truly). I never got to fully understand why I watched this. Probably because of my love for the Korean version, probably because I am intrigued, or probably because it was my may of reconnecting with Japanese dramas. The story revolves around a high school girl named Fujioka Haruhi (Kawaguchi) at the prestigious Ouran Academy, who stumbles upon a group of male students who have formed their own club as hosts. Accidentally breaking an antique vase, Haruhi ends up owing the club a vast amount of money, and she ends up posing as a host in order to repay her debt (source: dramawiki). The story revolves around Shinonome Mei (Eikura Nana). She lived a normal life. But one day, after her parents’ accidental death, Rihito (Hiro Mizushima) appears. Rihito comes from a line of outstanding butlers, and he has been appointed to serve her! Now her ordinary life has completely flipped, as she discovers that she’s actually the heiress to a fortune, and is forced to transfer to St. Lucia Girls’ Academy, where all the students have butlers! As a result, her childhood friend Kento (Sato Takeru) decides to enroll in a butler school (also in St. Lucia) so that he can stay close to her (source: dramawiki + a little revision from yours truly). 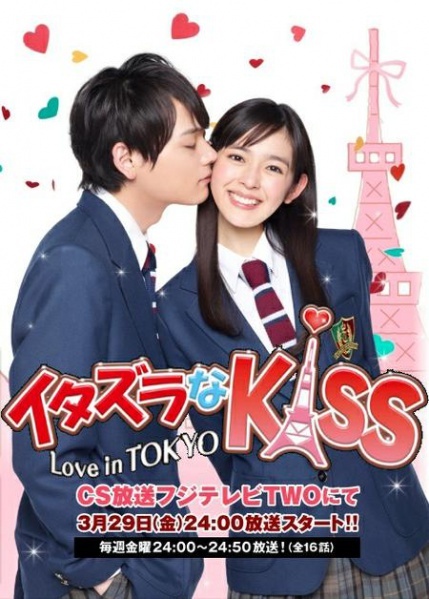 I don’t know what motivated me to watch this(my blossoming affection for Mukai Osamu & Sato Takeru? ), maybe it’s because of the feedbacks I heard.